The import / export tool is available in your planning tab, along with all your livestock trackers which you can read more about here. 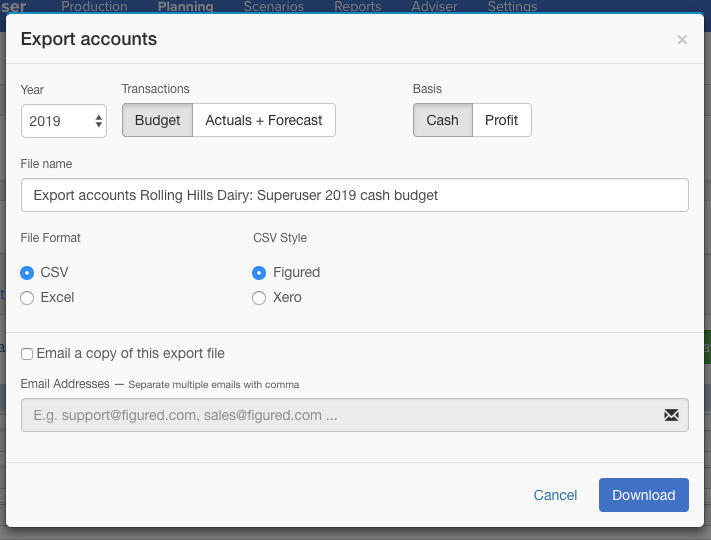 If you've got a year of data sitting in Xero already, we recommend exporting out those actuals and importing at this years budget - this article steps you through that process. Select the year and type of transaction you wish to export. If you're on a multi-farm, you'll have the option to select the farm tracking category. If you wish to email a copy of the export to someone, you can enter email addresses in the same step. If you wish to make any changes to the file before importing back in, go to your downloads folder, open the CSV file and make the required changes. 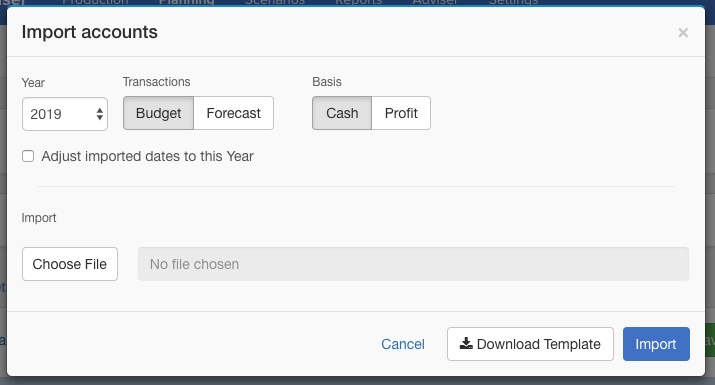 NOTE: You can export into the file required for Xero's budgeting tool, but you cannot export this back into Figured. Select the year and type of transaction you wish to import. If you're on a multi-farm, you'll have the option to select the farm tracking category. If you are importing into a different year from the data that you exported, you will need to tick Adjust imported dates to this year. Ticking this option will adjust the dates in your file to the budget year selected on the import accounts screen. If anything in your file fails to import due to errors you will be emailed a file with the records that did not get imported & the reason why.